I'm creating an animation in which I've used noise texture with displacement modifier for the bumps and roughness of the ground. It looks pretty good, but for some reason the texture on the ground is rendered for every frame, which results in a different ground texture for every frame. How can I avoid rerendering the ground for every frame? Not the answer you're looking for? Browse other questions tagged texturing modifiers displacement or ask your own question. 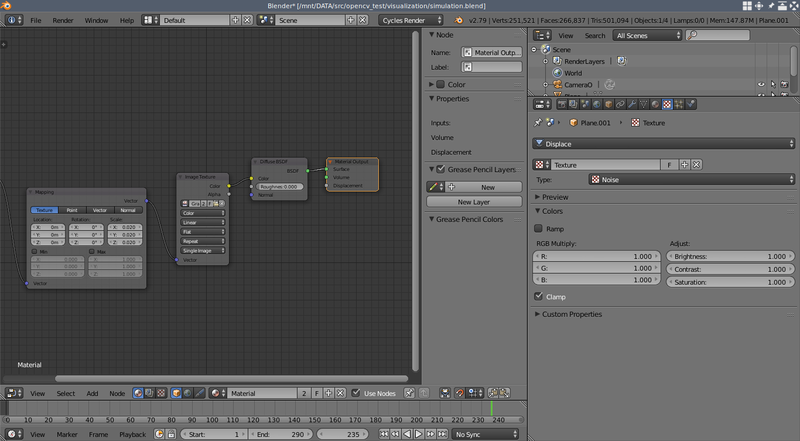 Why Doesn't my Ambient Occlusion Texture Show Up Properly"
What's wrong with my node setup for PBR materials?